Have you seen what the color of the year is? It's a really pretty, pinky purplish color. But it's not a color I would normally use in my home. 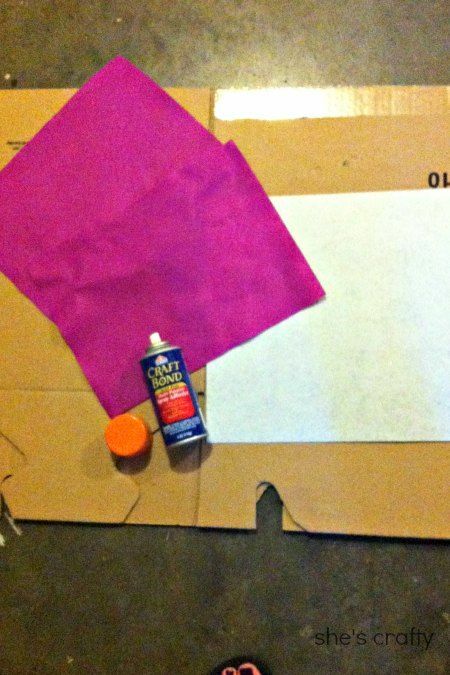 Since I liked to only do projects that I can in someway use in my home, I was rather stumped coming up with a project to do with this color. Then I decided to update the wreath on my front door. 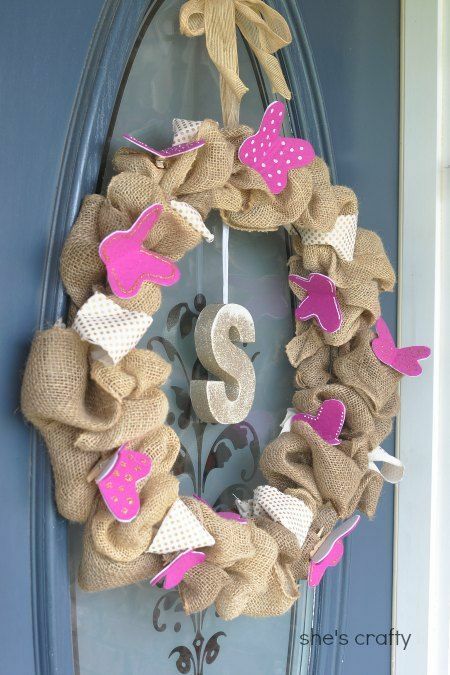 I started with a burlap wreath. I didn't take photos of this step. Here is a tutorial if you need one. I also added a few loops of gold polka dot ribbon. to attach it to some stiff white felt. 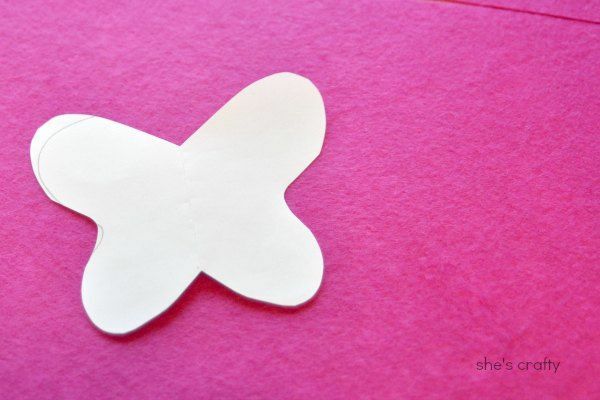 I drew a butterfly on some paper and then used it as a template to cut out some butterflies with the stiffened radiant orchid felt. gold and white puff paint polka dots and lines. 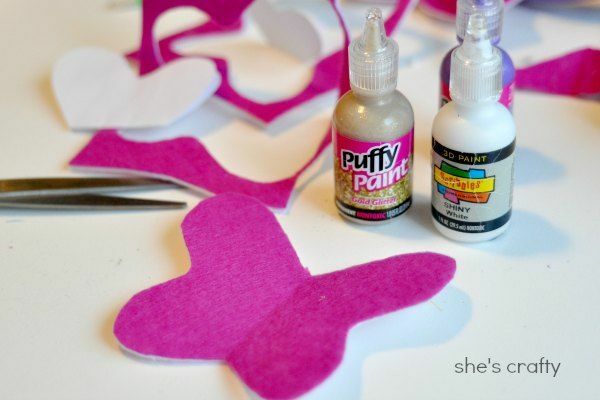 I hot glued some clothespins to the bottom of the butterflies. I clipped the butterflies to the wreath loops. 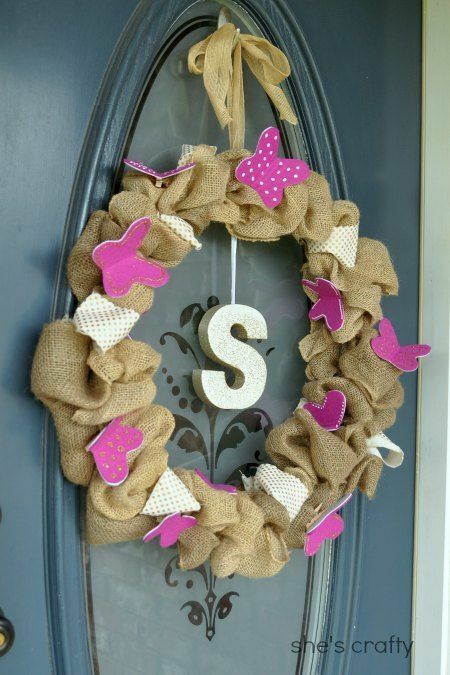 I added a gold glitter initial and some burlap ribbon to hang the wreath. 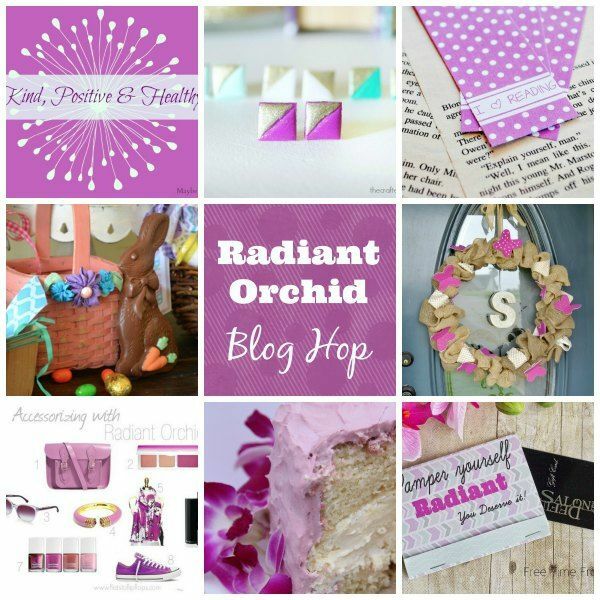 Still want more Radiant Orchid project ideas? 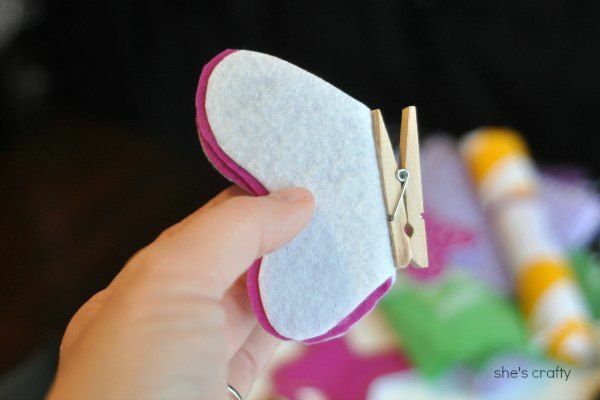 My blog friends all made some awesome projects! Make sure to stop by their blog, check out their stuff and leave them some comment love!! I LOVE the burlap! 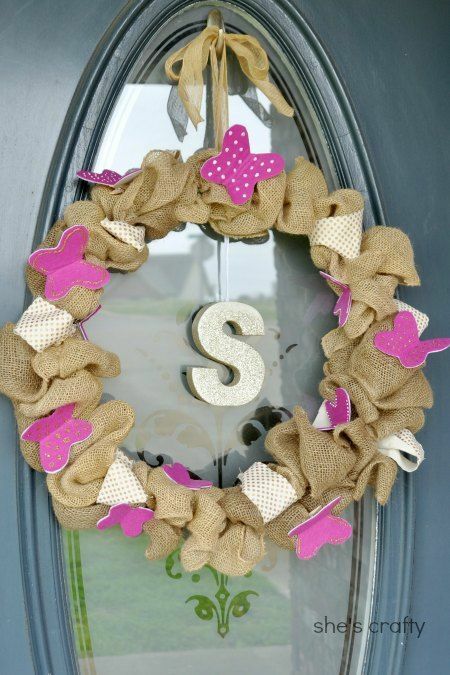 I've had this kind of wreath on my "to-do" list FOREVER! Thanks for reminding me. Looks fab babe!